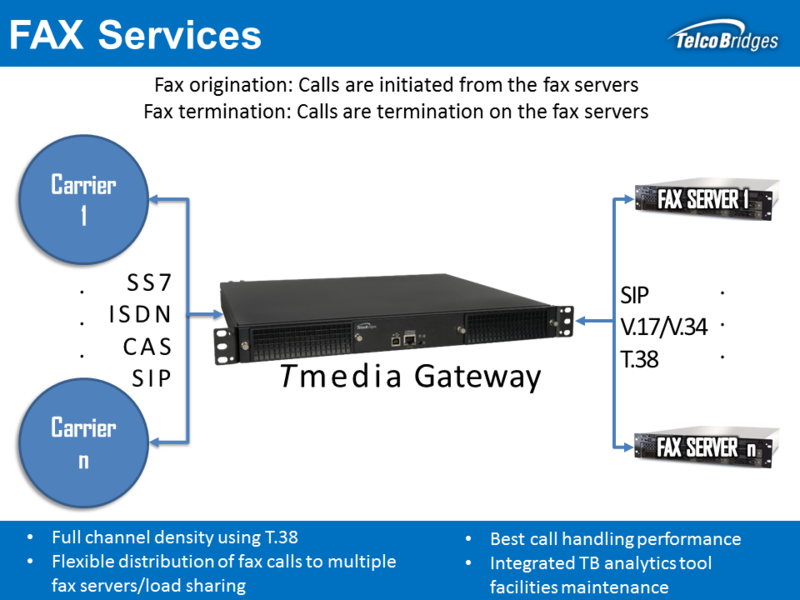 TelcoBridges gateways are capable of converting standard fax to high capacity T.38 for fax services, support V.34, and allow pass through of NSE. T.38 allows for increased revenues due to the higher fax success rate versus non T.38 solutions. Provides a competitive advantage when offering fax services. High Capacity T.38 allows for fewer devices needed to be used with lowers acquisition, maintenance, and logistic costs. TelcoBridges faxing solutions can record audio. This feature allows for greater speed and efficiency when debugging to maximize uptime.